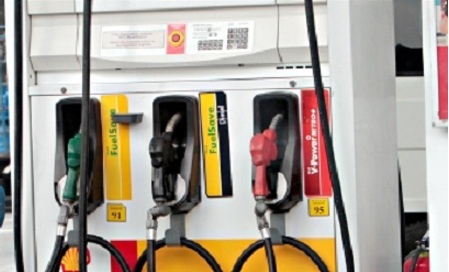 Major oil companies rolled back fuel prices anew early morning of Tuesday,April 12, as oil prices in the world market continued to slip. Diesel prices were cut down by 50 centavos per liter, gasoline by 70 centavos per liter and kerosene prices were slashed by 55 centavos per liter. Energy Secretary Zenaida Monsada said the rollback would have been higher but a probable meeting on April 17 between OPEC and non-OPEC countries may lead to a freeze or reduction of output from major oil producers..
Libya and Iran will reportedly not attend the meeting, since both countries are bent on maintaining or even increasing output to regain their former market shares. While producers may be lamenting the continuing decline in oil prices worldwide, consumers of course, welcome all news about price reduction. Aside from major oil producers, who would complain from lower oil prices? A lot of consumers consider low oil prices to be a blessing. They are all hoping that prices stay at a low level for a long, long, time. But nothing lasts forever. It seems 15 countries which reportedly account for 73% of oil produced worldwide, are in favor of an output freeze. Better enjoy those low oil prices while you can. It may not last that long.